First up, we have the xScope 6 browser. xScope was a favorite of mine for quite some time, simply because of its similarity to Google Chrome. Not colorful or eye-popping in any way, xScope is probably the most advanced of the simple browsers. Maneuvering through many tabs is made very easy in this browser. The speed isn't the best, but it sure is close. The menu and settings system can sometimes be confusing, but it is easy to get used to. xScope features multi-touch zoom and a full screen mode, both of which are nice additions. Available on the Market for $2.99, xScope 6 actually isn't really worth it to buy unless you know you love it. There is however, a trial version for free; all this adds is a watermark at the bottom right that says browser, but it certainly isn't an eye-sore. I recommend the trial version for sure, and you can decide for yourself; don't forget to check out the rest of the browsers though! New, less-popular, and slightly slower, Miren Browser does look promising. It features an extremely simple and very functional interface alongside a slightly slower than average speed. Probably one of the best looking browsers available and still very young, Miren will probably be on top in a matter of time. If you can get by the barely slower speeds and the lack of a multi-touch zoom, and simply want aesthetics and a very easy menu, then this browser is for you. Miren is featured free on the Market and definitely deseves some looking into. 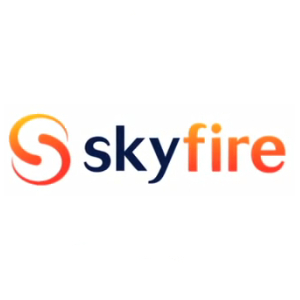 The Skyfire Web Browser is by far the most connected browser. One of the most discerning features is the ability to view flash videos directly in the browser. It features integration into facebook, which will let you view popular videos and your friends latest updates. Another neat feature on its main page is the ability to search multiple engines at once and view different results at the tap of a button. Also with multi-touch zoom, Skyfire seemed to load images faster than any other browser. One of its greatest features is the upfront ability to switch between acting as an Android client and a computer client quickly. This would seem like the best browser except for one thing: it becomes too busy. All of these features are great, but there is too much on screen at all times, giving too many options. Skyfire is great for YouTube and Facebook junkies, but will quickly grow old for the rest of the users. It is available for free on the market. Opera Mini is a few things: lightning fast, cleanly simple, and blaringly red. If you don't like the color red, then don't get Opera Mini. Other than that, and the lack of the amazing multi-touch zoom, Opera is arguably the fastest browser on the market, also free. It is very simple as well, which is a good thing, but it does lack a deep menu system and sticks the user with the bare minimum. One of the best features in Opera Mini is the extremely accessible tab system allowing you to switch tabs seamlessly in mere seconds. Mee Browser is, at this point, the least useful browser out there. Despite this fact and its ugly simplicity, Mee Browser has one good thing going for it. It loads every page fully and displays everything once it is finished. This is useful for simple websites made of of basically only text. Throw in some pictures... well get ready for a wait. So, useless as of now except for exceptional speeds for beyond simple websites. If you are a rarity looking for only this, the Mee is for you. Otherwise, look elsewhere. Galapogos Browser, another less popular one, is good and bad, much like the others. The menu system is perfect and accessible. The tabs are ugly, but they do work very nicely. It may be slightly slower than the other, but if it gets faster, it has potential to be on the top. One of the nicest features is the function buttons at the bottom of the screen which you can choose what you want them to do. A very innovative feature that should be introduced in other browsers is what sets this apart from the rest. The biggest downfall is that the free version is ad-supported and the paid one costs almost $4. If it wasn't for the price, it would be definitely worth some thought. Dolphin Browser is what seems to be the most popular browser. The Mini is a newer version, still in beta. Despite this, it is probably one of the best browsers out there. HD and Mini share about the same lightning fast speed. The main difference is that HD acts as a computer browser most of the time and will load things that most other browsers cannot. This does however sacrifice some speed. Mini features a very simple tab system and menu system. They both exclusively feature gesture, which with some practice can work amazingly well. I recommend HD for users with larger phones or a tablet, as that is what it is meant for. On smaller phones, it will just be confusing with sidebars and stuff moving around. HD is free with ads, and $5 bucks without ads. HD also supports different free themes which will spice it up. Mini, lacking most of these features is free and simple and probably the way to go for most users. Also available is the original dolphin browser, which I don't believe is being updated anymore. It is clunky and less user-friendly at this point. If I had to recommend any single one of these browsers for the average user, I would pick Dolphin Mini. It lack some generally unnecessary features but is the most reliable and quickest of them all. Another great thing about it is that it's still in Beta, which means that it will grow and probably get better. So, I suggest that you check them all out and find what suits you best, but if you're lazy, get Dolphin Mini. Thanks for reading!